Metcheck.com - Weather News - Scattered Showers Developing. 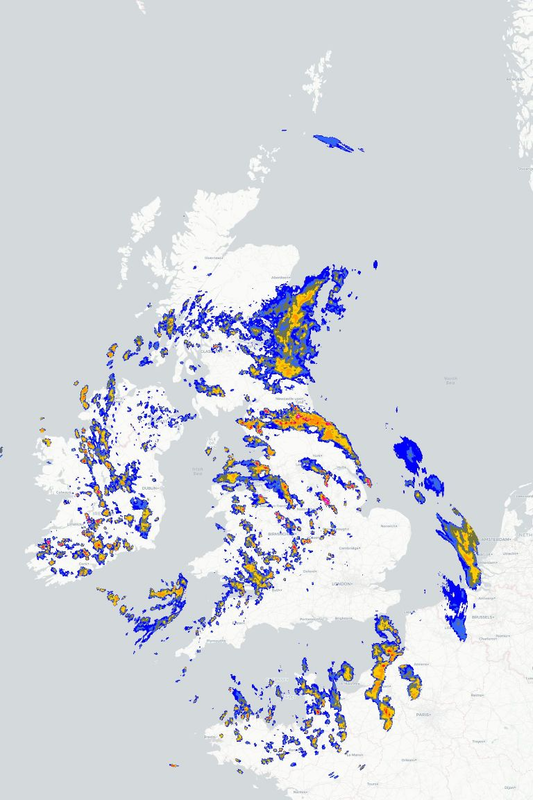 ◄► UK Storm Radar Storms Possible? The generally fine and warm or very warm theme continues in many regions for the next few days but with somewhat more instability around in the atmosphere today compared to recently there will be a higher risk of scattered showers breaking out although it should be stressed that many areas will miss these and remain fine. There is a fair amount of cloud around again this morning in many regions but the strong sunshine will get to work and start to break up the cloud so that by this afternoon most places will be fine and warm. However, there will be a couple of exceptions. Firstly, parts of Ireland and Northern Ireland are likely to remain rather cloudy with perhaps a little light rain or drizzle at times, especially in the far northwest. Secondly, some scattered showers are expected to break out across parts of England and Wales, especially towards more southern and western regions. These showers will be hit and miss affairs, but where they do break out they could turn heavy with a risk of hail and thunder and bring some locally quite large amounts of rainfall. Temperatures today will range from 16°C to 20°C in the north to between 23°C and 28°C further south and it will feel warm in the sunnier areas. Any showers that do form will slowly die out tonight to leave many areas dry with clear spells although low cloud and mist will tend to form during the second half of the night. 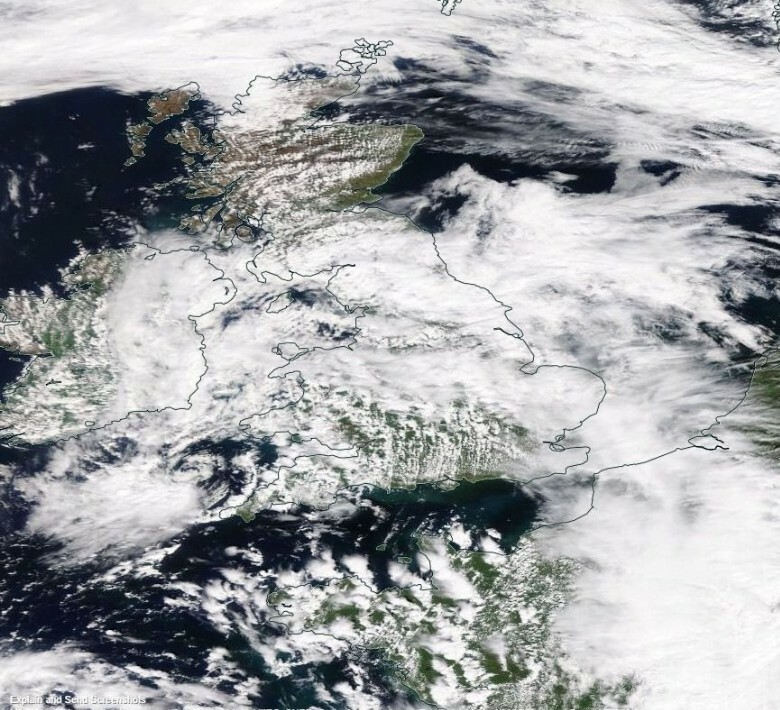 This low cloud then slowly burns off tomorrow to once more leave plenty of bright and warm weather with temperatures rising towards the south and east, but for the north and west it turns increasingly cloudy with some rain and cooler temperatures as a result. A slightly more active afternoon than we anticipated, but that's the weather for ya!